g9s9.tmp.exe Malware. How to remove it? Potential Anti-Ransomware conflict w/ Windows and Ransomware Protection? Thank you. The clean operation removed all remnants in the system files and registry. I wasn't aware the Malwarebytes Support tool could perform this without a re-install. Great! RAT on computer did not show up on scan. I was on my computer for 5 minutes when I could hear people talking. I minimized Facebook, and some guys are playing a game on my computer. I can see it, a guy in the corner of the game screen, and hear them talking. I assume it is a RAT, so I ran a malwarebyte scan but it didn`t catch it. What is the best scan to run for a RAT on my system, and how do I get rid of it? Greetings, The free and trial versions of the product (as well as Premium) all use the same installer, so you don't need any kind of license, key or trial to reinstall Malwarebytes. 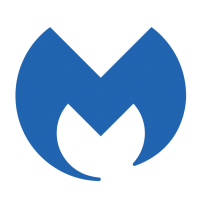 That said, to perform a clean uninstall of Malwarebytes you don't need to reinstall the product at all either as Malwarebytes provides a special tool for that purpose. To use the tool to clean off any remnants of Malwarebytes from your system just follow the instructions below (I'd recommend temporarily disabling your Controlled Folder Access to allow the tool to delete any files/folders belonging to Malwarebytes that might be in protected locations otherwise Windows probably won't allow them to be removed): Download and run the Malwarebytes Support Tool Accept the EULA and click Advanced tab on the left (not Start Repair) Click the Clean button, and allow it to restart your system. You'll be prompted to reinstall Malwarebytes after that, but since you don't want Malwarebytes installed just opt out of it. Is MWB Support Tool a clean install short cut ? Greetings, Thanks for the suggestion. I definitely like this idea and will be sure to submit it to the team for review and consideration. It''s bit better than before but not sped up substantially. Is everything cleared now ? Would someone kindly define what the Malwarebytes bot means by their Windows product? e.g, Adware Cleaner, JRT, Windows Firewall Control by BiniSoft ? Or is it supposed to mean Malwarebytes 3 for Windows versus Malwarebytes for Android ? Neither of the two selections provided by the Malwarebytes bot are relative. I didn't install a Malwarebytes Windows product nor do I have a license issue for a paid version of MalwareBytes I only installed Malwarebytes 'Trial' premium version for consumers. The idea was to lock the settings, this was dreamed up before it was a managed product. In an elevated Powershell type sfc /scanniw and then press enter, and let it run, then type dism /online / cleanup-image /restore health and then press enter and let it run other suggestions are to reset using the Keep My Files option then, if needed, backup your stuff and try a reset with the remove everything option i can’t help any more due to severe eye problems good luck!